Despite what many believed e-mail does not diminish their number or presence. A new study by Experian Marketing Services shows that the opening of mail continues with its increasing trend (11.6% increase) in the first quarter of 2013. But something has changed: most of the emails are now open in The mobile devices. This trend confirms the need for brands to optimize email messages for multiple screens. 53% of CPGs noticed an increase in significant e-mail opening. 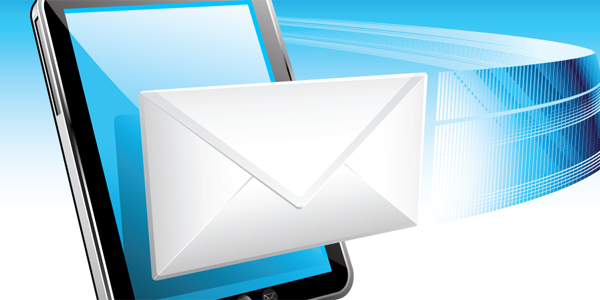 63% of the media and leisure brands also noticed an increase in the opening of mails. At the same time, there is a trend that brands can take advantage of: the gift. The study shows that in some campaigns, such as Father’s Day in the USA, using the word “gift” in the header of the message made the percentage of clicks out of 18% higher than any other campaign. In the messages of the Christmas campaigns, the mails that had included “gift idea” in the subject also obtained a higher level of interaction. “With 12% growth last year in the volume of mail, and with mail revenue levels remaining stable, the channel continues to show strong growth this year as well,” said Peter DeNunzio, director general for marketing In Experian Marketing Services. “This growth confirms that 51% of the brands saw increases in their number of transactions. Multichannel merchants are enjoying the largest increase in volume as consumers increase their interaction in several of them, demonstrating the need for companies to offer a consistent and consistent experience in all of them in order to be successful today. .
Another trend that is coming in strongly is electronic receipts or e-receipts, and Experian’s report shows that they have a high opening percentage. It is obvious that electronic receipts originate from a purchase, but the practice offers the brands a unique opportunity to continue interacting with their customers thanks to them. For example, a receipt for the purchase of a computer may include a discount coupon for a peripheral.